Are you an international student from the Indian sub-continent (India, Bangladesh or Pakistan) currently in your first year of undergraduate degree course? do you wish to continue your undergraduate degree abroad? Hurry now and apply for the £3,000 Indian Sub-Continent Regional Scholarships at University of Essex in UK for 2018-2019 academic session. Interested students should details below for more information on how to apply. Scholarships are awarded to pursue and Undergraduate programme. Scholarships are awarded to learn the courses offered by the university. £3,000 which will be paid as a tuition fee discount in your first year. Are You Eligible To Apply For The £3,000 Indian Sub-Continent Regional Scholarships at University of Essex in UK? Applicants must be from from the Indian sub-continent (India, Bangladesh or Pakistan). Applicants must be fully self funding their studies. Must have a very good command of the English language. Therefore, the application should be written in English. If you meet all the eligibility criteria and firmly accept the offer of your place by 19 July 2018 then you will automatically be considered for this award. We’ll assess your eligibility based on the academic transcripts and certificates that you submit with your application for your place at Essex. You don’t need to complete an application form. All successful applicants will be informed, in writing, by the end of August 2018 of any award to be offered. The University of Glasgow is delighted to invite applicants for its Clark (Mile-End) Graduate Bursary Fund to pursue undergraduate, postgraduate, PhD and postgraduate research programmes. Interested students should apply for the 2018 Clark Graduate Bursary Fund for International Students at University of Glasgow in UK. See details below for more information. Bursary is awarded to pursue undergraduate, postgraduate, PhD and postgraduate research programmes. It is awarded to study the courses offered by the university. The value of the bursary is normally between £500 and £1,500. Applicants from Afghanistan, Albania, Algeria, Andorra ,Angola, Antigua and Barbuda, Argentina, Armenia, Australia, Austria, Azerbaijan, Bahamas, Bahrain, Bangladesh, Barbados, Belarus, Belgium, Belize, Benin, Bhutan, Bolivia, Bosnia and Herzegovina, Botswana, Brazil, Brunei, Bulgaria, Burkina Faso, Burundi, Cambodia, Cameroon, Canada, Cape Verde, Central African Republic, Chad, Chile, China, Colombia, Comoros, Congo, Congo Democratic Republic of Costa Rica, Cote d’Ivoire, Croatia, Cuba, Cyprus, Czech Republic, Denmark, Djibouti, Dominica, Dominican Republi,c East Timo, Ecuador, Egypt, El Salvador, England, Equatorial Guinea, Eritrea, Estonia, Ethiopia, Fiji, Finland, France, Gabon, Gambia, Georgia, Germany, Ghana, Greece, Grenada, Guatemala, Guinea, Guinea Bissau, Guyana, Haiti, Honduras, Hong Kong, Hungary, Iceland, India, Indonesia, Iran, Iraq, Ireland, Israel, Italy, Jamaica, Japan, Jordan, Kazakhstan, Kenya, Kiribati, Korea North, Korea South, Kosovo, Kuwait Kyrgystan, Laos, Latvia, Lebanon, Lesotho, Liberia, Libya, Liechtenstein, Lithuania, Luxembourg, Macedonia, Madagascar, Malawi, Malaysia, Maldives, Mali, Malta, Marshall Islands, Mauritania, Mauritius, Mexico, Micronesia, Moldova, Monaco, Mongolia, Montenegro, Morocco, Mozambique, Myanmar(Burma), Namibia, Nauru, Nepa,l Netherlands, New Zealand, Nicaragua, Niger, Nigeria, Northern Ireland, Norway, Oman, Pakistan, Palau ,Palestine ,Panama, Papua New Guinea, Paraguay, Peru, Philippines, Poland, Portugal, Qatar, Romania, Russia, Rwanda, Samoa, San Marino, Sao Tome and Principe, Saudi Arabia, Scotland, Senegal, Serbia, Seychelles, Sierra Leone, Singapore, Slovakia, Slovenia, Solomon Islands, Somalia, South Africa, South Sudan, Spain, Sri Lanka, St Kitts and Nevis ,St Lucia, St Vincent and the Grenadines, Sudan, Suriname, Swaziland, Sweden, Switzerland, Syria, Taiwan, Tajikistan, Tanzania, Thailand, Togo, Tonga, Trinidad and Tobago, Tunisia, Turkey, Turkmenistan, Tuvalu, Uganda ,Ukraine, United Arab Emirates, United States of America, Uruguay, Uzbekistan, Vanuatu, Vatican City, Venezuela, Vietnam, Wales, Yemen, Zambia, and Zimbabwe are qualified to apply for the bursary. Are You Eligible To Apply For The 2018 Clark Graduate Bursary Fund for International Students at University of Glasgow in UK? Applicants must be citizens of the countries listed above. Applicants must have a very good command of the English language. There is an annual application process. Applications can be submitted between 1st March and 1st October each year. Applications must be submitted online by Clicking here. Applications can be submitted between 1st March and 1st October each year. The Edinburgh Napier University is currently accepting applications from students who wishes to pursue a Bachelor, Masters or PhD degree course. Boost your application by been the first to apply for the South Asian Scholarships At Edinburgh Napier University In UK for 2018-2019 academic year. Interested students should see details below on how to apply for the scholarship. The University has partial scholarships for self-funding students from Afghanistan, India, Pakistan, Bangladesh, Nepal or Sri Lanka. Scholarships are awarded to study a bachelor, masters or PhD course. Students are to learn the courses offered by the university. The scholarships are merit-based ranging from £1,000 to £3,000. Students from Afghanistan, India, Pakistan, Bangladesh, Nepal or Sri Lanka are eligible to apply. Are You Eligible To Apply For The South Asian Scholarships At Edinburgh Napier University In UK? Students studying the MBA (Leadership Practice) are ineligible for this scholarship. Applicants whose mother tongue is not English are must provide evidence of proficiency in English.The TOEFL is the most frequently submitted examination score that the University receives, however,the Admissions Office will use other measures upon the applicant’s request. The IELTS, ACT, and SAT examinations may also be used. Must meet the eligibility criteria detailed above and a citizen from one of the eligible countries. Must have made your £3,500 deposit payment towards your fees. Applications are currently been accepted at DRB-HICOM U International Student Scholarships to pursue a full-time diploma, degree or postgraduate programme. Interested students should hurry now and apply for the 2018 DRB-HICOM International Student Scholarships In Malaysia. See details below for more information. The university is currently offering 51 programmes from diploma, degree and post-graduate studies with the emphasis on the automotive eco-system. Scholarships are awarded to pursue a full-time diploma, degree or postgraduate programme. This scholarship covers 30% of tuition fees only. Are You Eligible To Apply For The 2018 DRB-HICOM International Student Scholarships In Malaysia? For more information on the scholarship eligibility, kindly click on the Scholarship Link. The Heriot-Watt University is offering a partial scholarship to students who wishes to pursue an MBA degree abroad.Boost your application by been the first to apply for the RM16,000 MBA Partial Fee Scholarships At Heriot-Watt University In Malaysia for 2018/2019 academic year. See details below for more information. Scholarships are open for MBA programme. Students are to study the courses offered by the university. Scholarships of up to RM16,000 each are available for the 2018/2019 academic year. A maximum of 5 scholarships are available. Scholarship is available for Malaysia citizens. Are You Eligible To Apply For The RM16,000 MBA Partial Fee Scholarships At Heriot-Watt University In Malaysia? Applicants must have undergraduate degree. Must be a Malaysia national. Scholarship applications are considered for the September and January intakes of each year and applications should reach the Edinburgh Business School no later than 30 June 2018 and 14 October 2018 for each respective intake. The Copenhagen Business School is currently accepting applications from PhD students who wishes to pursue a degree in Economic Rationalities within the Department of Management, Politics and Philosophy (MPP). Hurry now and apply for the 2018 CBS PhD Scholarships In Economic Rationalities For International Students. See details below for more information. Scholarships are awarded to PhD students only. Scholarships are available in the field of Economic Rationalities within the Department of Management, Politics and Philosophy (MPP) at Copenhagen Business School. A PhD scholarship runs for a period of 3 years, and includes teaching obligations equivalent to ½ year’s work (840 work hours). The scholarships are fully salaried positions, according to the national Danish collective agreement. The scholarship includes the tuition fees, office space, travel grants plus a salary, currently starting with per month app. DKK 23.770 (app. 3,160 euro) up to DKK 28.964 (app. 3,860 euro) depending on seniority, plus a pension contribution totalling 17,1 % of 85 percent of the base salary. The salary level and appointment are determined by the Ministry of Finance’s collective agreement with the Central Academic Organization. Scholarship is open for students from all nationalities. Are You Eligible To Apply For 2018 CBS PhD Scholarships In Economic Rationalities For International Students ? To be considered, the candidate should have a basic training at the Masters level (similar to the 3 + 2 Bologna process). An educational background in the social sciences is necessary. The applicant must have successfully completed the master’s degree before commencing PhD at CBS. Also, applicants must have good command of English language. A brief curriculum vitae (CV). A copy of a selected written work (e.g. Master’s thesis). Documentation for English language skills if English is not your first language. Are you an international student aspiring to acquire a PhD degree abroad?The Copenhagen Business School (CBS) is offering a PhD Scholarship within the topic of Inequality. Boost your application by been the first to apply for the CBS PhD Scholarship Within The Topic Of Inequality For International Students In Denmark for 2018-2019 academic session. Interested applicants should see details below on how to apply for the scholarship. The university encourages applications in any research area falling broadly within the theme of Inequality. High priority will be given to applicants with high grades from their universities. Scholarships are awarded to PhD students. Scholarships are awarded focusing on research on the topic of Inequality. A PhD scholarship runs for a period of 3 years, and includes teaching obligations equivalent to ½ year’s work (840 work hours). The scholarships are fully salaried positions, according to the national Danish collective agreement. The scholarship includes the tuition fees, office space, travel grants plus a salary, currently starting with per month app. DKK 23.770 (app. 3,160 euro) up to DKK 28.964 (app. 3,860 euro) depending on seniority, plus a pension contribution totalling 17,1 % of 85 percent of the base salary. The salary level and appointment are determined by the Ministry of Finance’s collective agreement with the Central Academic Organisation. Scholarship is awarded to International students. Are You Eligible To Apply For CBS PhD Scholarship Within The Topic Of Inequality For International Students? Applicant must meet the following to be considered for the scholarship. To qualify, the candidate should have a basic training at the Masters level (similar to the 3 + 2 Bologna process). An educational background in the social sciences is necessary. The applicant must have successfully completed the Master’s degree before commencing PhD at CBS. The applicants must be fluent in English. Applicants must have a good command of the English language. The application must include a 5-page project description. This research proposal should contain a presentation of an original research question, a description of the initial theoretical framework and methodology, a presentation of the suggested empirical material as well as a work-plan. Click on the link below for more information on admission https://www.cbs.dk/en/research/phd-programmes/admission. Documentation for English language skills if their master has not been taught in English. To complete the application form Click Here. The University of Cambridge is currently inviting applications for PhD studentship in The p53 and p53 family involvement in Cancer. Interested students should hurry now and apply for the £15,000 PhD Studentship For EU Students At University of Cambridge In UK for 2018-2019 academic year. see details below on how to apply. This project represents an ideal opportunity to learn a range of state-of-the-art techniques including, basic cell biology, and molecular biology and bioinformatics tools to dissect the in vitro and in vivo mechanisms of cancer development. Scholarships are awarded to pursue a PhD programme. he Medical Research Council Toxicology Unit, is an internationally renowned institution focussed on the delivery of field-changing mechanistic insights into toxicology and disease. Scholarship is open for EU citizens. Are You Eligible To Apply For The £15,000 PhD Studentship For EU Students At University of Cambridge In? Citizens from EU countries such as; Austria, Belgium, Bulgaria, Croatia, Republic of Cyprus, Czech Republic, Denmark, Estonia, Finland, France, Germany, Greece, Hungary, Ireland, Italy, Latvia, Lithuania, Luxembourg, Malta, Netherlands, Poland, Portugal, Romania, Slovakia, Slovenia, Spain, Sweden and the UK are eligible to apply. Applicants must expect to obtain qualifications at the level of a first-class or 2.1 Honours Degree in a biological science or related discipline and to fully satisfy the residence requirements of the UK Research Councils. A fees-only award will be available to EU nationals who are not ordinary resident in the UK. Students who are liable for fees at the ‘overseas’ rate are not eligible for these studentships. Been ‘ordinarily resident’ in the UK for three years prior to the start of the studentship. This means they must have been normally residing in the UK (apart from temporary or occasional absences) -Not been residing in the UK wholly or mainly for the purpose of full-time education (this does not apply to UK or EU nationals). Applications must be made via the University’s online Applicant Portal: http://www.2018.graduate.study.cam.ac.uk/courses/directory/blphpdtox/apply. Copenhagen Business School is inviting applications from international students to pursue a PhD degree program.Interested students should apply for the CBS PhD Scholarships At The Department Of Operations Management In Denmark for 2018-2019 academic year. It is open for PhD programme only. Scholarships are available in the Department of Operations Management. A PhD scholarship runs for a period of 3 years, and includes teaching obligations equivalent of ½ year’s work (840 work hours). The scholarships are fully salaried positions, according to the national Danish collective agreement. The scholarship includes the tuition fees, office space, travel grants plus a salary, currently starting with per month DKK 23.770 (app. 3,160 euro) up to DKK 28.964 (app. 3,860 euro) depending on seniority, plus a pension contribution totaling 17,1 % of 85 per cent of the base salary. Up to three scholarships are available. It is open for international students. Are You Eligible To Apply For The CBS PhD Scholarships At The Department Of Operations Management In Denmark? To be qualified, the applicant should have a basic training at the Master’s level (similar to the 3 + 2 Bologna process). An educational background in the social sciences is necessary. The applicant must have successfully completed the Master’s degree before commencing PhD at CBS. Also, applicant must be fluent in English. Applicants must apply online. The application must include a 5 page project description. This research proposal should contain a presentation of an original research question, a description of the initial theoretical framework and methodology, a presentation of the suggested empirical material as well as a work-plan. The University of Northampton is currently accepting applications from students who wishes to pursue an undergraduate degree. Boost your application by been the first to apply for the £3,000 EU Undergraduate Scholarship at University of Northampton in UK for 2018-2019 academic year. Scholarships are awarded to pursue an undergraduate programme. students are to study any courses made available by the university. Up to 50 scholarships are available. The University has 50 scholarships to the value of £3,000 each. Eligible recipients will be paid £1,000 in each year of study (up to a maximum of three years). This award is applicable to EU students entering full-time higher education for the first time in the academic year 2018/19. All funds are provided by the University. EU and UK nationals are eligible to apply. Are You Eligible To Apply For The £3,000 EU Undergraduate Scholarship at University of Northampton in UK? Applicants must be from one of the listed countries; Austria, Belgium, Bulgaria, Croatia, Republic of Cyprus, Czech Republic,Denmark, Estonia, Finland, France, Germany, Greece, Hungary, Ireland, Italy, Latvia, Lithuania,Luxembourg, Malta, Netherlands, Poland, Portugal, Romania, Slovakia, Slovenia, Spain, Sweden and the UK. Applicants whose mother tongue is not English must provide evidence of proficiency in English at the higher level required by the University. Applicants who hold an unconditional firm offer with the University of Northampton are invited to complete and return the EU Scholarship application form. You must include with your application form, a scanned copy of your high school diploma to prove your exam results. If you are successfully awarded an EU Undergraduate Scholarship you will be notified by email in September 2018. You will be required to advise Student Finance England of your UK bank account details as SFE will be making the payment on our behalf. Applications are currently ongoing for a new PhD scholarship focussing on ‘wind energy and society’ is available at the Technical University of Denmark. Boost your application by been the first to apply for the PhD Scholarship In Wind Energy And Society In Denmark for 2018-2019 academic calendar. Interested applicants should see details below on how to apply for the scholarship position. Scholarships are awarded for a PhD programme. Scholarships are awarded to study Wind Energy and Society. Applicants from all nationalities are qualified to apply. Are You Eligible To Apply For The PhD Scholarship In Wind Energy And Society In Denmark? Applicants whose first language is not English must provide evidence that your English language skills are at a high enough level to succeed in your studies. Excel sheet with translation of grades to the Danish grading system(search guidelines and excel spreadsheet). A short research proposal (maximum 1000 words including references). 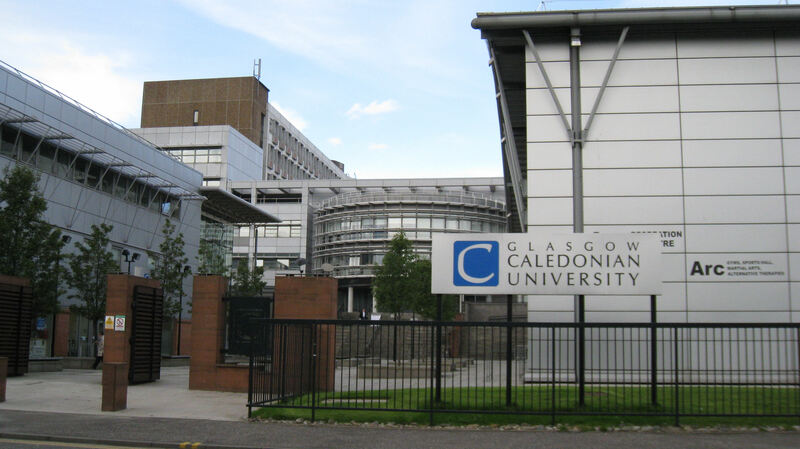 Glasgow Caledonian University is currently accepting applications from students who wishes to pursue a Postgraduate programme abroad. Interested students should apply for the £5,000 Santander Universities Postgraduate Scholarship At Glasgow Caledonian University In UK for 2018-2019 academic session. Scholarships are available to pursue a Master degree programme. Santander Universities Postgraduate Scholarship of £5,000 is available to study a full-time Masters level programme at GCU or GCU London. Students from Europe, America, and Other countries are eligible. Argentina, Brazil, Chile, Colombia, Mexico, Peru, Puerto Rico, United States, Uruguay. Other nationalities will be considered on an exceptional basis” as we will consider applications from students out with the SU network. Applicants must have been offered a place to study at GCU or GCU London. Applicants who have been offered a place on a GCU Masters level programme and are from one of the countries listed above are eligible to apply. If English is not the first language, students will be required to provide a language test before they can start their studies. Applications should be done online. The Initiative d’excellence (IDEX in short) University Grenoble Alpes is delighted to receive applications from international students who are interested in pursuing a Master degree programme. Interested students should hurry and apply for the IDEX Master Scholarships at University Grenoble Alpes In France. See details below for more information. Scholarships are awarded to pursue a Master degree programme. Scholarship is open for international students. Are You Eligible To Apply For The IDEX Master Scholarships at University Grenoble Alpes In France? The second year of a Master (and thus are eligible for one year of funding). Applicants whose first language is not English are to provide evidence of competency in English language. (Native speakers are exempted). The requirement is waived for applicants from English speaking countries as well as applicants whose previous degree is from a program taught in English. English scores required for the MoSIG, MSIAM, CySec and ROCO programs: TOEFL IBT 78, CBT 210, Paper 547 / TOEIC 700 / Cambridge FCE / IELTS 6.0 min. This is equivalent to CEFR level B2. When submitting an online application for the CySec, MoSIG, MSIAM or ORCO program, applicants will just have to tick a box “I wish to apply for a scholarship” Applicants do not have to apply for the scholarship directly. Applicant must provide a copy of his/her most recent diplomas, with a translation of the diploma in French or English. Must provide a certified copy of the final grades obtained from all University Studies. Applicant must provide copy of grades obtained so far for this academic year, and the date by which he/she can provide the final grades (final transcripts will be needed for admission). Must provide a recommendation letter(s). You can submit up to three recommendation letters (print on letterhead and submit using the online tool (uploads). Click on the Scholarship Link to apply. Edith Cowan University is offering scholarships to new international undergraduates in Australia. Hurry now and be the first to apply for the 2018 International Undergraduate Scholarship At Edith Cowan University. Interested applicants should see details below on how to apply for the scholarship. The scholarship offers a 20% reduction in your tuition fees for the duration of your course at ECU for students from selected countries. Scholarships are available to pursue an Undergraduate degree. Qualified students are to study the courses offered by the ECU. The scholarship offers a 20% reduction in your tuition fees for the duration of your course at ECU. The scholarships are open to future international students seeking to study a bachelor degree at ECU. Students from selected countries are eligible to apply. Are You Eligible To Apply For The 2018 International Undergraduate Scholarship At Edith Cowan University? Students who meet ECU standard course entry from Albania, Andorra, Argentina, Armenia, Austria, Azerbaijan, Belarus, Belgium, Bosnia & Herzegovina, Brazil, Bulgaria, Cambodia, Canada, Chile, China, Colombia, Croatia, Cyprus, Czech Republic, Denmark, Estonia, Finland, France, Georgia, Germany, Ghana, Greece, Hong Kong, Hungary, Iceland, Indonesia, Ireland, Italy, Japan, Kazakhstan, Kosovo, Latvia, Liechtenstein, Lithuania, Luxembourg, Macedonia, Malawi, Malaysia, Malta, Mauritius, Moldova, Monaco, Montenegro, Myanmar, Netherlands, Norway, Poland, Portugal, Romania, Russia, San Marino, Serbia, Singapore, South Africa, South Korea, Slovakia, Slovenia, Spain, Sri Lanka, Sweden, Switzerland, Taiwan, Turkey, UAE, Ukraine, UK, USA and Vatican City are eligible for International Undergraduate Scholarship. Applicants must be studying at ECU Joondalup, ECU Mount Lawley, or ECU South West (Bunbury). Applicants must provide proof of proficiency in English language. Applicants can also apply online on the ECU Online Application Portal. The 50th Anniversary International Undergraduate and Graduate Scholarships are now open to highly talented prospective students to pursue four-year degree programmes. Apply now for the $24,000 UCalgary 50th Anniversary International Undergraduate And Graduate Scholarships In Canada for 2018-2019 academic session. See details below for more information. The aim of these scholarships is to provide financial help to awarded to exceptional undergraduate and graduate students from 25 designated countries. Scholarships are awarded to pursue undergraduate as well postgraduate programme. Students are to learn any courses provided by the university. Undergraduate scholarships: $24,000 per student per year for up to four years of study. Graduate scholarships: $16,000 per student registered in a thesis-based PhD program per year, for up to four years of study. China (Country of Emphasis), United States (Country of Emphasis), Germany (Country of Emphasis), Tanzania (Country of Emphasis), Mexico (Country of Emphasis), Saudi Arabia (Country of Emphasis under Middle East), Qatar (Country of Emphasis under Middle East), Jordan (Country of Emphasis under Middle East), United Arab Emirates (Country of Emphasis under Middle East), Egypt (Country of Emphasis under Middle East), Iran (Country of Emphasis under Middle East), Norway (Country of Interest), India (Country of Interest), UK (Country of Interest), Spain (Country of Interest), France (Country of Interest), Australia (Country of Interest), Thailand (Country of Interest), Vietnam (Country of Interest), Singapore (Country of Interest), Japan (Country of Interest), South Korea (Country of Interest), Malaysia (Country of Interest), Brasil (Country of Interest), Tanzania (Country of Emphasis). Pakistan, Bangladesh, Yemen, Somalia, Sudan, Colombia, Ghana, Kuwait, Palestine, Venezuela, Taiwan, Italy, Libya, Sri Lanka, Austria. Applicants must meet the English language standard of the university. Applicants must be citizens to the countries listed above. Graduate applicants should follow these steps before he/she apply for grad studies. Admissions to graduate programs are highly competitive, as there are a limited number of spaces. There is no general right of admission, so it’s best to be as prepared as possible. Applicants must ensure he/she meet admission requirements for the Faculty of Graduate Studies and his/her program. Review the application deadlines for your graduate program. Plan 2-6 months to prepare required documents. International students may need longer. Official Transcript: Provide official transcripts from all post-secondary institutions that you have attended, even if you did not graduate, sent in a sealed envelope to your graduate program from the issuing university. You can upload unofficial documents to your online application. Curriculum vitae: Applicants must provide a current version of his/her transcript. Study Proposal: Applicants must provide a study proposal which will provides a clear description of the research or study area that you would like to pursue. Many successful applicants take approximately one month to research and write the proposal. Writing Sample: Applicants must prove a sample you have written yourself, independently in an undergraduate or graduate class. Standardized Tests: Check your program requirements to know which tests you will need to take and the minimum score required to be considered for admission. The time to schedule and successfully complete these tests varies, and so you will need to plan accordingly. Document Translation: Applicants should ensure that all documents are translated in English language if not, you must request a second set of documents to be given to a translator for a notarized word-for-word English translation. Send the translated copy to your graduate program in addition to your official documents. To complete the application process, click on the Apply button for more information. Scholarship is open for the year 2018. Are you an international student aspiring to pursue a PhD degree abroad? The CEDEJ and IFAO are offering a scholarship in human and social sciences on contemporary developments of Egyptian society in the nineteenth and twentieth centuries. Boost your application by been the first to apply for the CEDEJ / IFAO Common Scholarship for International Students in Egypt for the 2018-2019 academic calendar. See below for more information on how to apply. Scholarships are awarded to pursue a PhD degree programme. Scholarship is awarded in human and social sciences on contemporary developments of Egyptian society in the nineteenth and twentieth centuries. The scholarship amount is 12 monthly payments of 1 000 euros net per month (in addition to the granting of a round-trip flight ticket). The beneficiary may, at his/her option, receive this scholarship either for 12 consecutive months starting from September 1, 2018, or for 12 months spread over two years from September 1, 2018, till August 31, 2019. Scholarships are open for all international students. Are You Eligible To Apply For The CEDEJ / IFAO Common Scholarship for International Students in Egypt? The scholarship is available to students of any nationality who hold a Master or equivalent and are or will be registered for a PhD at the date of September 1, 2018. Applicants must provide a Photocopy of an ID. Applicants must provide two recommendation letters in English or French. Are you an Art students seeking to study abroad? The National Institute of Art History is offering three three-month scholarships specifically for art history. Hurry now and apply for the 1300 € INHA Scholarships for Foreign Researchers in France for the 2018-2019 academic session. Interested students should see details below on how to apply for the scholarship. The purpose of the scholarship is to carry out research requiring the consultation of sources in Paris and to network with researchers. Priority will be given to confirmed art history researchers, whether they are affiliated with an institution or independent. Scholarships are awarded to pursue a research programme. Scholarships are available to study Art History. This scholarship includes support for accommodation, travel and the payment of a monthly scholarship of 1300 € . INHA will provide a workstation, a reserved space for the library and access to computer and documentary resources offered by the documentation service. Researchers from Eastern Europe, Africa, the Middle East, India and South East Asia are eligible to apply. Applicants must provide a curriculum vitae with the list of publications already published (or confirmed by the publisher). Must provide a cover letter. Application must be done online. Applicants should complete the Application Form. The New York Institute of Technology (NYIT) is delighted to invite applications from students of OAS member states to apply for the 2018-2019 OAS-NYIT Scholarship for Undergraduate and Graduate Programmes in New York, USA. Interested students should see details below on hoe to apply for the scholarship. Scholarships are awarded to pursue an undergraduate and graduate programme. Applicants are to study the courses offered by the university. First-year degree programs: Tuition discount of $5,000 – $22,000 / year. Minimum High School GPA of 3.0 and SAT score of 980 required. Transfer programs: tuition discount of $5,000 – $13,000 /year. Minimum Transfer GPA of 2.5 required. The University shall provide tuition discount of $1,500 – $3,000 / year (fall and spring semesters only). Minimum Undergraduate GPA of 3.3 required. The Scholarship Recipients of Bahamian citizenship may also qualify to receive additional funding from the Government of the Commonwealth of The Bahamas through the OAS-GOB scholarship program. Citizens from OAS member state are eligible to apply. Are You Eligible To Apply For The OAS-NYIT Scholarship for Undergraduate and Graduate Programmes in New York? Applicants must provide OAS with an admission letter from NYIT. This scholarship opportunity is open to new applicants as well as current students from OAS member states who are not an OAS-NYIT scholarship recipient. Applicant must Submit a complete scholarship application to OAS with all required supporting documents. Applicant must be a national and/or permanent legal resident of any OAS member state, except The United States. Scholarship Recipients of Bahamian citizenship who apply to the OAS/ Government of The Bahamas Scholarship Program may only pursue the programs listed as priority areas for the OAS/Government of The Bahamas Scholarship Program. In addition, scholarship recipients of Bahamian citizenship who do not apply to the OAS/Government of The Bahamas Scholarship Program may pursue any of the programs of study included in the OAS-NYIT Scholarship announcement. Click Here for the online scholarship application form and and list of supporting documents. Are you a Canadian citizen seeking to further your Education? The Federation College is delighted to accept applications from post-secondary school graduate who wishes to further their education . Hurry now and apply for the $400,000 Entrance Awards For Post-secondary Program for 2018-2019 academic session. See below for more information. These awards are open to all full-time students for pursuing a post-secondary program at Confederation College in September 2018. Scholarship is awarded for pursuing post-secondary program at Confederation College. On average, student awards exceed $400,000 each year. Scholarships are awarded to Canadian National. Are You Eligible To Apply For The $400,000 Entrance Awards For Post-secondary Program? Applicants must be a Canadian national to qualify for the scholarship. Also, applicants whose first language is not English may need to demonstrate that their English language skills are at a high level to succeed in their studies. Applicants should apply through the SSB-Confederation College Self Service Banner System. Choose Enter Secure Area and enter your Confederation College User Name (located at the top of your Offer of Admission) and your Password. If you are having difficulty logging in, please contact the Computer Services Helpdesk at 807-475-6488. Some applicants may be required to provide supporting documentation. Documents can be submitted to the Information Hub located in the Shuniah Building or by fax to 807-473-3731. September 18, 2018 at 4:30 p.m. Diploma program scholarship is currently ongoing for international students to study in Canada for the 2018-2019 academic year. Hurry now and apply for the $11,000 TSoM Love Canada Diploma Scholarship For International Students In Canada. The new Love Canada Scholarship is available for all new international students to study at The Toronto School of Management in Canada. Interested applicants should see details below on how to apply for the scholarship. Scholarships are awarded to pursue a diploma program. Up to 20 scholarships are available. Are You Eligible To Apply For The $11,000 TSoM Love Canada Diploma Scholarship For International Students In Canada? Applicants must provide a 600-word essay expressing ‘Why do you love Canada’? or ‘Why have you selected Canada for your overseas study’? Applicants whose first language is not English are to provide evidence of English language proficiency at the higher level required by the university. To apply for the scholarship, the necessary documents listed above must be submitted along with the completed application form and send via mail. Love Canada Scholarship will be only applicable for applications from May 2018 until the September 2019 intake. Are you a Canadian citizen seeking to pursue a degree in Medical Science? The University of Alberta is offering approximately 10-15 Medical Sciences Graduate program. Boost your application by been the first to apply for the $6,500 Medical Science Graduate Scholarships at University of Alberta in Canada for the 2018-2019 academic calendar. See details below on how to apply. Scholarships are available for students registered full time in a thesis based MSc or PhD programme. Scholarships are available within the Faculty of Medicine & Dentistry. Approximately 10-15 Medical Sciences Graduate Program Scholarships are available. Scholarships are open for Canadian nationals only. Are You Eligible To Apply For The $6,500 Medical Science Graduate Scholarships at University of Alberta in Canada? Applicants must be currently registered or accepted to start as of January 2019 as a full-time thesis-based graduate student in the Medical Sciences Graduate Program (MSc or PhD) in one of the following departments in the Faculty of Medicine & Dentistry: Anesthesiology and Pain Medicine, Dentistry, Laboratory Medicine & Pathology, Medical Genetics, Obstetrics & Gynecology, Ophthalmology & Visual Sciences, Pediatrics and Radiology & Diagnostic Imaging. The applicant may not concurrently hold any major awards ($13,000 or greater), or any other stipend award from the Faculty of Medicine & Dentistry (e.g. 75th Anniversary Award, FoMD/AHS Student Recruitment Studentships, Motyl Graduate Studentship). Applicants may be eligible to hold this award more than once. Award will be withdrawn if applicant completes his/her program or ceases to maintain full-time registration. Also, to be eligible, a student must be in “good standing” with MSGP, whichmeans that they must comply with the PhD proposal submission and candidacy completion timelines established by the MSGP (found in Outline of Responsibilities). That is, doctoral students must submit a PhD proposal package within 24 months of the start of their graduate program, and must pass the candidacy exam within 6 months of the MSGPC’s approval of their proposal. Original copy of the application is to be submitted to the Office of Research, Faculty of Medicine & Dentistry, University of Alberta, 2-13 HMRC by Friday, September 28, 2018 at noon. A completed current application form with original signatures. Previous application form will not be accepted as forms are updated on a regular basis. Curriculum vitae, reprints, ranking of applicants, or other documentation are not required and must not be attached to the application. Do not double -side or use staples on any documents submitted. Applicant must provide two confidential letters of reference which should be received in a signed and sealed envelope. Applicant must also provide a current UofA transcript even if there are no grades yet. Original copy of the application is to be submitted to the Office of Research, Faculty of Medicine & Dentistry, University of Alberta.